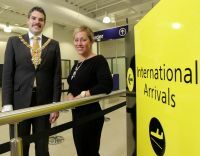 A £1.7m international arrivals lounge has opened at George Best Belfast City Airport, providing improved facilities for both passengers and statutory agencies. 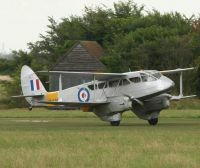 A new airline has been announced in the South of England linking Shoreham Airport, on the coast near Brighton, to Pontoise-Cormeilles Aerodrome, a small executive airport west of Paris and about 25 miles from the Arc de Triomphe. Premier Inn has officially opened its largest UK property this week, with the 630-room hotel located at Gatwick’s North Terminal. 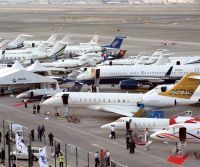 On Tuesday, The Middle East Business Aviation (MEBA) show opens its doors with the organisers predicting high numbers of attendees, over 7,000 trade visitors are expected. This year there is a new site, Al Maktoum International Airport, Dubai World Central (DWC). Last year, in a unique coming together, British Airways, Heathrow, Manchester Airports Group and Virgin Atlantic formed the Aviation Foundation. Heathrow is quickly becoming an important operation for the Spanish carrier Vueling, the subject of a buyout by International Airlines Group (IAG). Florence is to be added as a daily route from next March. It joins Palma as a new destination next year (see BTN 26 November), La Coruña and Bilbao already established. 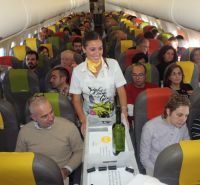 Vueling will become one of the very few Heathrow carriers licensed to serve its home country and an overseas destination. 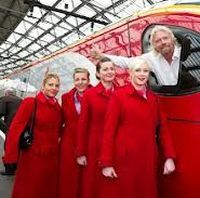 Congratulations to British Airways, easyJet and Virgin Atlantic who, in spite of punitive planned APD tax increases, are starting UK domestic routes now and in the spring. And well done to Flybe for keeping its regional route network intact, at least for the present. These heavy tax rises are due to be introduced by the Chancellor of the Exchequer on 1 April. The APD increases were not mentioned in his Autumn statement, the figures hidden away in the Executive Summary, known as the ‘Red Book’. From next April it will cost a family of four from Glasgow £104 in taxes to fly to London or say Belfast for the weekend (£13 per sector including children), whereas it will involve half that sum to travel to Dublin or Paris. This is just about equal to the cheapest coach fare. Trains start at £21 for the single journey. Business Travel News believes that this unnecessary tax could be seen is a sop to the EU in helping to support continental destinations, and that it will work against the present Government when it seeks to be re-elected in 2015. The regions do not like it as it is hardly an incentive to holiday in the UK. The Scottish nationalists will no doubt promise to reduce the duty if they get their way in the forthcoming referendum. The Office of Budget Responsibility (OBR) admitted that it will collect nearly £1bn less from Air Passenger Duty (APD) than first expected over the next five years. The predicted fall in passenger numbers coincides with year-on-year increases in APD. In a tough world we sadly expect to be taxed. But the domestic APD is counter productive and one wonders if even legal. APD is supposed to be levied as a capital to capital tax (itself daft – but we will not go into that one today – the new APD to Australasia, Malaysia and Indonesia in Economy Plus is £188). Could an airport or airline, or individual, challenge HM Treasury in that the domestic figure should be zero? London to London. Has anyone the courage, or the pocket to do so? Or perhaps a national newspaper! Airbus has successfully completed the main structural assembly and system connection of A350 XWB ‘MSN-001’ – the first flight-test aircraft. The aircraft is depicted here on its wheels for the very first time moving out of the main assembly hall (Station 40) at the recently inaugurated 'Roger Béteille' A350 XWB Final Assembly Line in Toulouse. It then entered the adjacent indoor ground test station (Station 30). 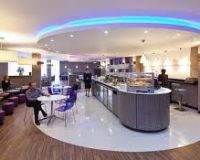 Work is underway on a £600,000 project to create a new lounge at Bristol Airport. Bearing the Aspire by Servisair brand, the new facility will see the current executive lounge relocated, resulting in a 50% increase in space. A research team has come up with a list of what they consider the finest airport food. Whether their research would pass muster with some of the fine dining experts in national newspapers is questionable and open to criticism by regular travellers. 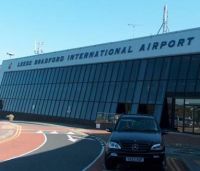 Yesterday (Sunday 9 December) British Airways introduced new Heathrow services to Leeds Bradford, Rotterdam and Zagreb from Heathrow Terminal 1 (see below). 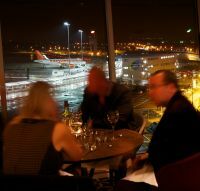 Readers should be aware that, following the bmi takeover, British Airways now operates from Heathrow terminals 1, 3 and 5 with a consolidation not likely until the opening of T2 in 2014 when there are likely to be some major changes including United moving all its services into the new facility. 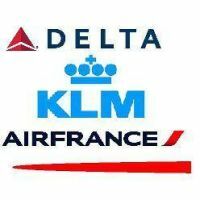 Presently the former Continental routes are still in T4 with BusinessFirst passengers using Skyteam rather than Star facilities. Check before setting out. It is a long way from T1 to T5. Here are some of the more important changes now operational. easyJet, now Britain’s largest airline, has announced it will serve Newquay – Cornwall for the first time from next June, with flights from Liverpool John Lennon Airport, and Southend, with three times weekly services. 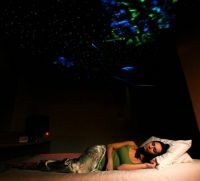 In a UK first, Travelodge has launched a hotel room which will allow customers to sleep under the stars in the comfort of their bed. 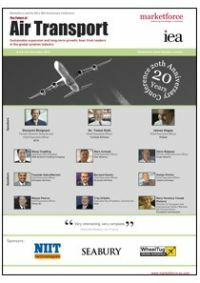 The 20th annual Future of Air Transport Conference took place at London’s Millennium Mayfair hotel last week, with some 200 delegates, probably the best ever attendance, and certainly in terms of speakers, real quality. Former IATA Director General, Giovanni Bisignani, led things off and other contributors on the first day included James Hogan, Chief Executive Officer, Etihad; Steve Ridgway, who holds the same position at Virgin Atlantic; Isaiah Cox, promoting his Wheeltug concept; and from China Wang Yingming, Chairman of Hainan Airlines Group; plus Trey Urbahn, representing the South American industry as Commercial Director of Azul. The second day revolved around emissions and the environment with amongst others on the platform Damien Meadows of the EU; Boubacar Djibo representing ICAO; and Julian Carr, the former MD of bmibaby, currently resting. You’ve heard of the English salesman whose product translated into German really did not make sense. It works the other way too. 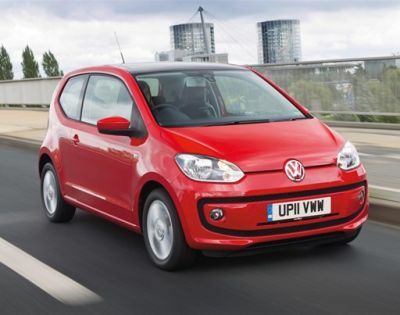 Volkswagen’s entry into the fast expanding mini car market is called Up! Make what you like of that. There is an auto Up as well. 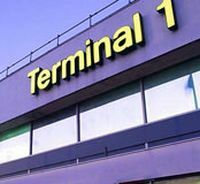 Is a terminal facelift the end of the road? CityJet is to launch two new routes into Germany – Dresden and Paderborn from April 2013. Flights to Dresden will commence from 1 April 2013 and services to Paderborn on 22 April 2013. Last week's final luncheon of the year of the Aviation Club of the United Kingdom attracted a near sell out audience to hear Dermott Mannion, once of Aer Lingus and now Deputy Chairman of Royal Brunei, explain how the carrier is repositioning itself as a niche carrier in South East Asia. It does have two long haul routes, to London (via Dubai with fifth freedom rights), and to Melbourne. 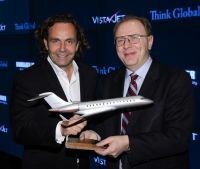 VistaJet has trumped rival Netjets with an order for 56 new Bombardier “Global series” aircraft, with 86 further options. In June Netjets committed to 50 of the large purpose built executive jets. With a list price value of more than US$7.8bn, the VistaJet sale is the single largest transaction placed with any aircraft manufacturer in the history of business aviation. Significantly London was chosen for the announcement. 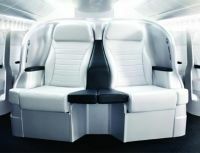 Coming in somewhat later than a number of carriers (EVA Air was the first carrier to introduce such a product in 1991), Lufthansa is to develop a Premium Economy Class over the next two years. 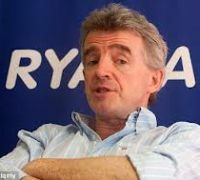 Ryanair has announced eight new routes from its two Scottish bases.